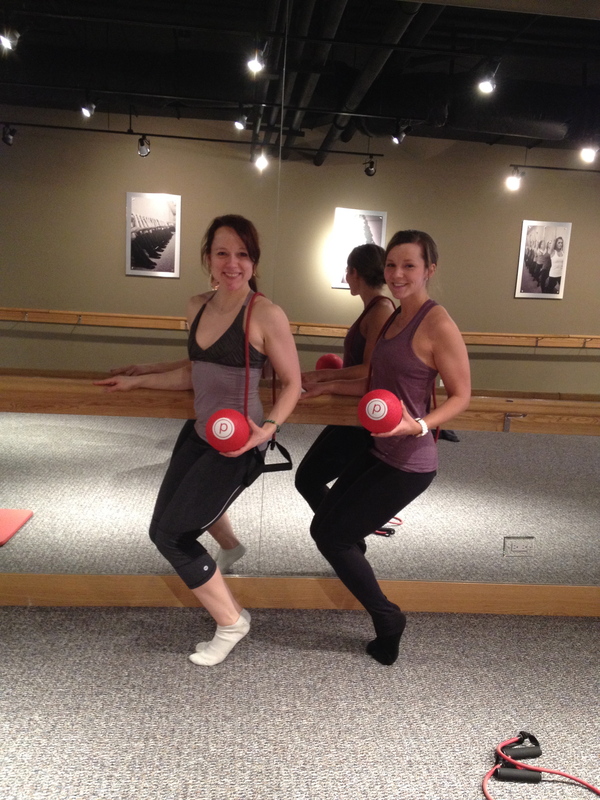 This week I decided to try the much talked about Pure Barre. Adding to the trend of ballet barre-inspired toning classes, I was eager to see where this studio measured up. Upon arrival, I was happily greeted and led into the one-room studio. Kelly, my instructor for the day, was a gracious host. She showed me which pieces of equipment to grab and gave me a brief run-down of what to expect. 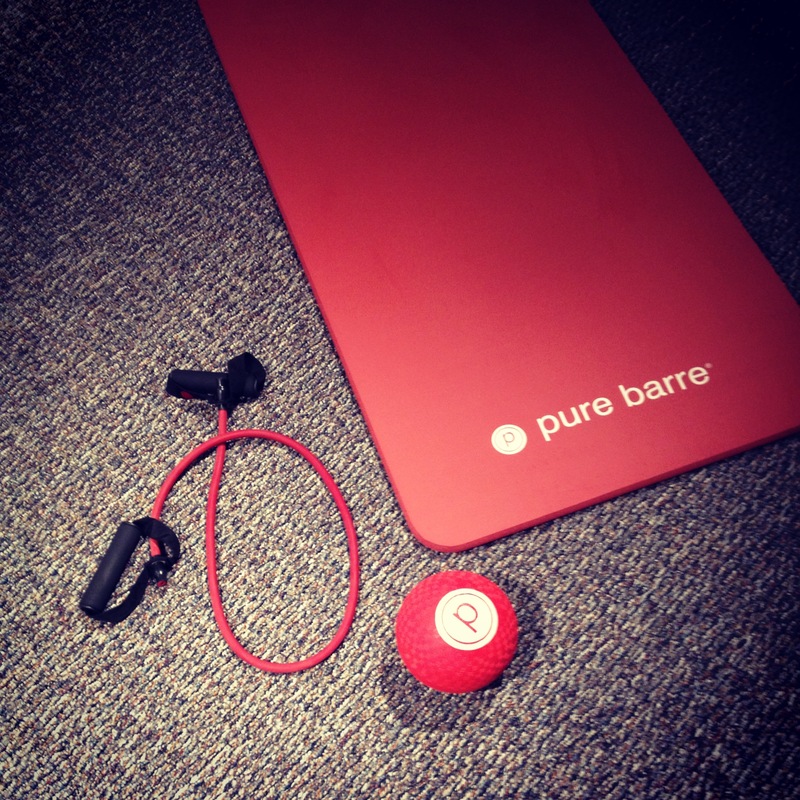 The Pure Barre class opened with a warm-up of push-ups, triceps dips and a unique shoulder routine with a light set of weights. My favorite part in the upper body section was the triceps press-backs. Considering I’m used to doing kickbacks with a 25lbs. free-weight, I didn’t think anything of these little presses-that was until two days later. My triceps were incredibly sore! More so that when I was pushing heavy weight! This leads me to go off on a brief tangent about the types of weight-training there are. Endurance Strength is usually done with lighter weights and with higher repetitions. Basic Muscle Strength usually means lifting heavy weights with fewer repetitions. Since getting rather accustomed to lifting heavy, going to a class like this reminded me that it might just be time to add in a little endurance strength training. A healthy balance of both types of training would benefit not only myself, but you too! After our arm series, we worked our core and glutes in small but precise movements. My favorite of the glute exercises had us in a cheerleader-type position lifting one leg up and down for what seemed like days. It was a simple bum-burner exercise. And yet, the very next day I was sore throughout my under lower-half-calves, quads, inner thigh, outer thigh, bum-ALL of it! Kelly’s creative exercises kept me curious and intrigued through the whole hour. This wasn’t your average barre class. I was never overwhelmed but was challenged enough that when it was type to stretch in between moves, I needed the stretch. I would highly recommend Pure Barre Old Town to anyone of any fitness level. It’s a great low-impact class to add in to your week. The staff is friendly, highly accommodating and eager to give you a killer workout! Thanks for reading! And absolutely!